Abigail Wright has been a hard-working and positive member of the Healthy Living team. She’s a real inspiration and we’d like to share her story. Abigail was in the sixth form at Sir Henry Floyd Grammar School, Aylesbury when she discovered she was pregnant. At 17 years old, she expected that sharing the news with her form tutor would result in her being asked to leave the school. The reality was that Mrs. Lake provided her with practical and emotional support. Abigail was allowed her to complete her AS exams, before taking a year out. Being a young, single mother can bring all manner of challenges and as a mother to twins, Abigail didn’t have an easy ride. Despite this, she remained determined to complete her A ‘Level studies. She booked her children into nursery and returned to school, achieving an A in Politics and A* in RS. 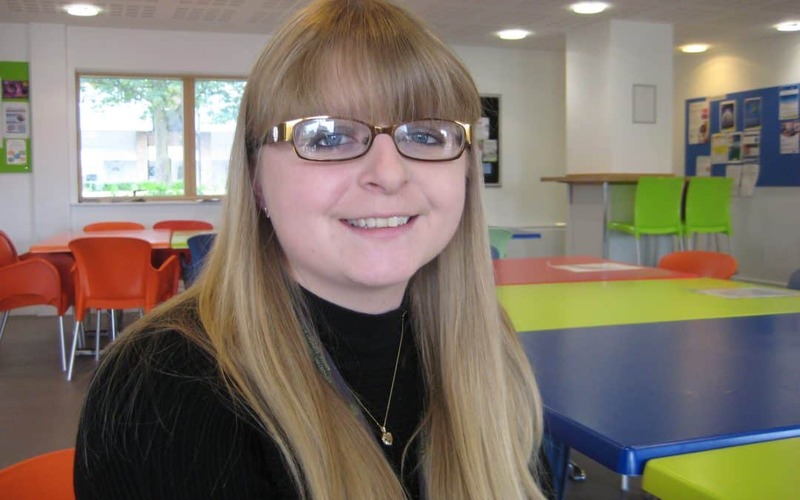 Undeterred by balancing study and family life, Abigail enrolled at Aylesbury College to study AAT Level 2, a year-long accounting qualification. With this under her belt, she applied for a place on the Accounting and Finance Degree course at the Aylesbury Campus of Bucks New Uni. When delays in the opening of the Aylesbury campus saw the course relocated to High Wycombe, she doubted she could take up the place. Her parents stepped in, offering to help with childcare before and after nursery and once again giving her the encouragement to realise her ambitions. Part way through the course, Abigail began work as the Finance Officer at the Healthy Living Centre. She applied her learning and gained further confidence from being part of a supportive team. On 11 July, the majority of the population commiserated England’s loss to Croatia in the World Cup, but Abigail had grounds for celebration. She received her exam results; a First Class Honours Degree! It is no surprise that shortly after, Abigail was offered a Graduate role at Grant Thornton, a proposition she couldn’t refuse. She’ll be starting this new role at the end of August. Whilst we are sad to see her leave, we are delighted that she will have an amazing opportunity to further her career. Abigail shows that with determination, self-motivation, support and a regular supply of coffee, it is possible to live life to the full and achieve great success!